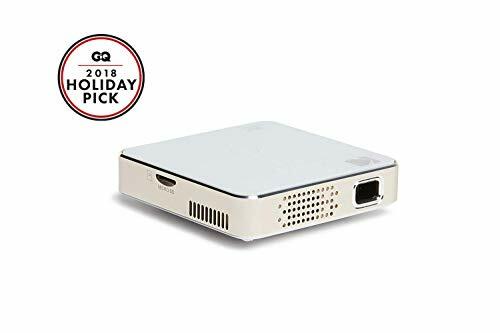 The best portable HD projectors come in DLP, LCD, and LED versions so there are options to choose from all models, but the point to be noted is DLP and LED projectors to weigh much lesser than LCD projectors. Hence, the job becomes easier if you cut-off LCD projectors from the list when looking for the best portable HD projectors. 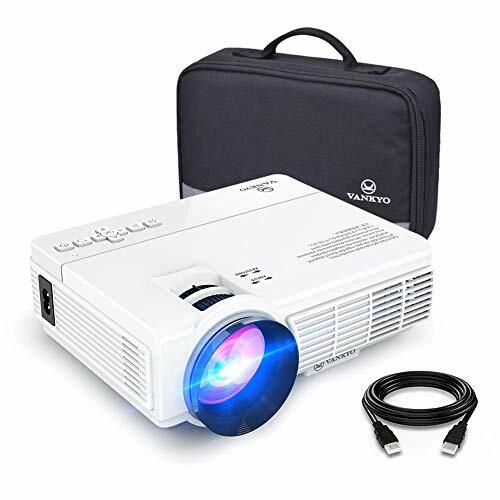 Portable projectors are the one that weighs between 3 pounds to 8 pounds, and if a projector weighs more than 8 pounds then it cannot be said portable. 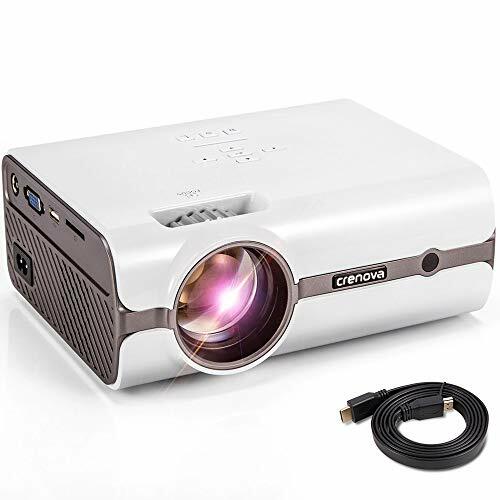 Additionally, it might not be convenient because the people who look for portable HD projectors need to often use them for on the go purposes like showing powerpoint presentations, running multimedia clips, connecting them with mobile phones and display a set of images, and so on. 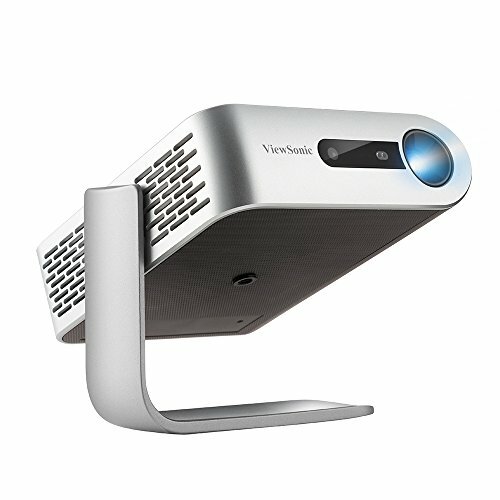 These are the projectors that people do not want to install in one room but want to use as per their convenience from home to road to an office to a wedding party. Now with the technological advancements, projectors are going beyond traditional projectors, which could be used for just presentation. Today, we have the best portable HD projectors that let you play HD movies, games, etc. by offering a way of connectivity including Wireless connectivity. The combination of portability and High Definition in projectors is what anyone would seek any day. And fortunately, one doesn’t have to lurk too far to find the perfect machine that offers the combination. Among the top five portable HD projectors shortlisted above, three are clearly the entry-level machines and two are high enough on specifications to be considered of moderate level. Beginning with the moderate ones, we have Optoma HD142X and Epson PowerLite 1781W. Despite belonging to the same category, the most significant difference between the two is that the HD142X uses DLP projection while the PowerLite 1781W uses 3LCD. And if had to compare which is one is better here, it’s clearly a matter of choice. Another big difference is that the Optoma has 3D support while the PowerLite 1781W doesn’t. In terms of brightness, both have almost the same lumen count i.e HD142X with 3000 Lumens and PowerLite 1781W with 3200 Lumens. The Optoma HD142X is again better than the PowerLite with its 23000:1 against the latter’s 15000:1. Connectivity features are the same in both cases with HDMI, USB, VGA, RS 232, MHL, Audio out and Trigger out. 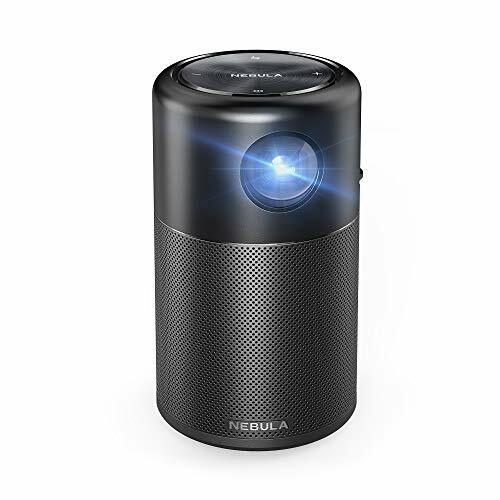 Moving on to the affordable ones, we have extremely energy-efficient LED projectors as well on the list namely Elephas Mini video projector and Hausbell portable projector. The Elephas Mini video projector comes with 1200 luminous efficiency, and the Hausbell has 1500ANSI of the same, suggesting that these are only for dim-light environments. The 1000:1 contrast ratio of Elephas projector is better in comparison with the Hausbell’s 600:1, which means it doesn’t offer anything more than ordinary, which is pretty acceptable looking at their price tags. Both the projectors support 1080p Full HD picture and use LED technology to project the image. And in terms of connectivity features, both have the same line of options such as HDMI, VGA, USB, Earphone jack, Trigger out and AV input. Meyoung Portable 1080p Full HD projector here has LCD projection to offer with a luminous efficiency of 1200 lumens. The device does quite well unless it’s being used indoors or in low light conditions. The contrast ratio of 1000:1 deepens the color detail and brings out vibrancy in the picture. And with the help of special cords, you can also connect your smartphone with this device. Other devices such as Blu-ray, DVD players, consoles and much more can also be connected to it; thanks to the numerous ways it offers to do the same.